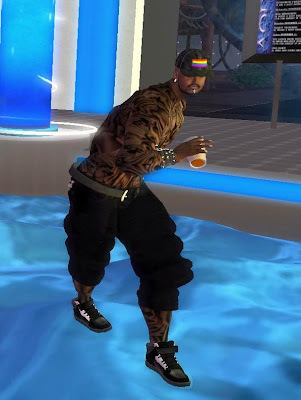 I went to Aqua Lounge early Thursday evening and spent the evening dancing with my hunky friend Zim Gunsburg, who usually can be found as one of the staff dancers at Blu in Boystown. DJ Thorn was spinning and keeping the crowd hopping. All in all, it was a good time-- and one of the reasons why Aqua Lounge makes my inside club list.